What made Phil an ‘outsider’? Well, was this rowdy rocker and party goer, really an outsider? I think so. Of course just the hue of his skin in Dublin at the time would have ‘marked him out’. A black Irishman in the 50s and 60s – there was a novelty. Either he had to live up to that difference or retreat from it – Phil, ostensibly, lived up to it. In fact he had been born at West Bromich in the West Midlands of England close to where I grew up. But Phil was sent to Dublin to live with and be brought up by his grandmother and family. He pays tribute to her in one of his songs titled ‘Sarah’. He wrote another ‘Sarah’ for his first born. Phil was ‘black’, living apart from his mother, with an estranged father. He was brought up in Catholic Ireland – so different at the time, say, from ‘Swinging London’ and more generally the ‘swinging sixties’ – the decade when he first began to play music. Phil was tall, very leggy and eventually grew an impressive ‘Afro’ hair cut. There was no mistaking him. But there was always a dichotomy about his nature. I met and talked with him a few times (I’m lucky to be able to say) even got to play drums along with him once! With his doleful eyes, lush Dublin brogue and gentle demeanour OFF-stage (I never witnessed his wild side) – this was contrasted with the posing rocker, ‘eye-for-a-lady’, ‘jack-the-lad’, ‘twinkle in the eye’ hard rocker ON stage. Thin Lizzy were a SUPERB live act. They made their reputation and career from their live performances. And they had (to quote a song and album title) a ‘bad reputation’. There was though, more to this rocker than one would expect. Yes he could write heavy songs with swagger such as ‘The Rocker’: I am your main man if you’re looking for trouble but also some of the most beautiful ballads, such as ‘Still in Love With You’: Think I’ll just fall to pieces/if I don’t find something else to do/ this sadness it never ceases/ I’m still in love with you. Or there were the songs of yearning, ‘Wild One’ being an example with its lines: How can we carry on, now you are gone, my wild one. There were many songs imbued with Irish legend of myth and adventure and with more contemporary reference such as, ‘Freedom Song’: I believe in the freedom song/Long live liberty/I believe in the freedom song/Doesn’t matter what you do to me. Dear Lord, my vanity, oh Lord, it’s killin’ me, it’s killin’ me. Phil had a sense of the Divine… a sense of the world beyond…I even think he had a sense of his impending mortality. This mix of rocker and romantic gave his songs a quality so often lacking from his contemporaries. Thin Lizzy’s songs had this mixture of Rock; Romance; Celtic History; Religion/Spirituality. Well if you don’t know, Phil succumbed to the effects of drugs and their long-term use in the mid-80s. Perhaps that was always going to be his destiny. Never to grow old. Always remembered as the rocker, the gypsy with his dangling, hooped earring. His playfulness and talent. But it’s still a damn shame he’s gone. These words reflect just a slight insight into the man and his songs. If you don’t know him and Thin Lizzy check out their back catalogue. ‘Vagabonds of the Western World’ is a raw, solid, Irish, romantic flavoured album from the band as a three-piece; ‘Nightlife’ is a soulful peculiarity (and my favourite album); Jailbreak is the ‘Classic Line-up’ at its height, containing their most famous hit song, ‘The Boys are Back in Town’. If you don’t know Thin Lizzy and you like your rock delivered with feeling and intensity and yet with some beautiful slow ballads and thought-provoking lyrics – you will be highly delighted when you do. If you already know them – you’ll understand everything I have written. Phil’s life was a romantic-tragedy – with all the paradox that those two words combining bring. I’ll leave you with this stanza from his song, ‘Spirit Slips Away’. Written when he and the band were on the cusp of real stardom. This revamped compilation of songs comes from a number of previous albums that are no longer available, although listeners are rewarded with one new song, The Fighting’s Over, and a pleasant slow cover of the Thin Lizzy classic, The Boys are Back in Town. 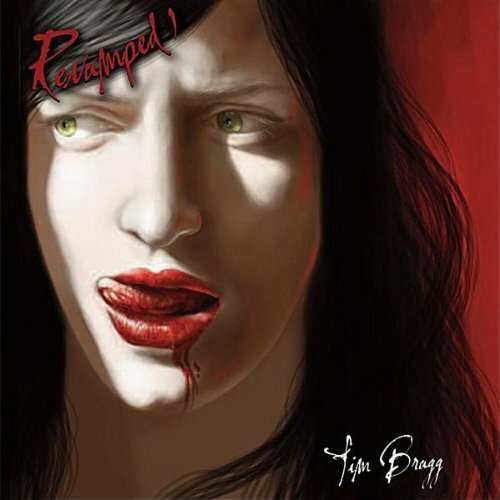 Tim Bragg offers a number of memorable melodies and catchy guitar riffs, notably in the opening song, Rise Above It and in Of Doubts and God. This album explores love and loss, whether it’s looking for an elusive girl in a white dress or a dad’s pride in his son. My Boy contrasts completely with Harry Chapin’s estranged son in the bittersweet The Cat’s in the Cradle. This dad takes time out for walks by the river with his boy, perfect walks where he can take pride that his boy is growing into a man. Not every song has to talk about love, however. Common Courage suggests something else is needed. The re-release of Fields of England is timely, given the Con-Dem government’s recently announced scheme to wipe out planning laws in order to allow a property developer’s free-for-all. This would make an excellent soundtrack for a YouTube video protested at George Osborne’s scheme to bulldoze the fields of England into oblivion. This album is permeated by a sense of spirituality, reminiscent of Van Morrison’s Avalon Sunset, especially in the track, Holy Spirit with its commendation of quiet meditation. The catchy Heaven on Earth suggests that you can find heaven on earth, working the land. In Of Doubts and God though, Bragg declares with frank honesty that, ‘I’ve got doubts about everything’ and that ‘I don’t know anything about anything’. This questioning attitude is the mark of true faith in which the Way is a Journey rather than ‘The Answer’ to everything. Like much of Bragg’s work, this song provokes deeper thought that is not dispelled by its infectious melody. The production values on this album are high, given that it is self-published, but it’s a shame that no lyrics were included on the CD booklet. That’s only a minor criticism. It’s superb. Let’s hope that we won’t have to wait too long for Revamped 2. The striking cover of Revamped 1. Revamped 1 is available for download on Amazon.co.uk for £7.49 or £0.89 per track or from ITunes for £7.99 or £0.79 per track. Find out more from tahbragg[at]googlemail.com if you want to buy a physical CD.